What’s the most popular form of gambling? It’s neither roulette, blackjack or any of the multiple forms of casino poker. 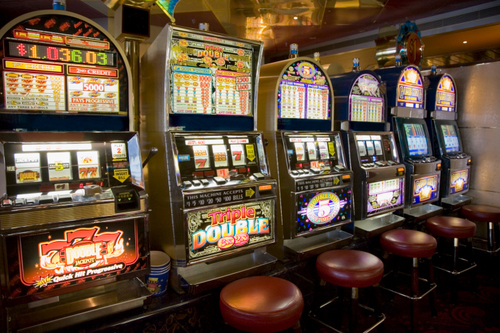 The most popular way to gamble, either online or in a brick & mortar casino, are slot machine games. It’s not like a single slot machine is the most popular and the truth is that there are several thousand of them offered, which is actually the main reason of this article to begin with. I want to guide you through various slot types, themes and software providers that are out there and offered their games for play. While we likely won’t be able to look into all gambling machines that are ever developed, getting down with the most popular types and dividing games between bonus features will be more than enough to get a head-start. Before we start with technical side of things, I wanted to educated you a little bit more with history of these gambling devices that are so popular today. The truth is that it all started with a Charles Fey and a simple game known as Liberty Bell, which happened in 1891. It might be hard to believe that this could potentially be a start of slot machine era, as we know it today, but that is really the case. Any of the games that you are able to play today are there because of this invention. How Do Slot Machine Differ From Each Other? So there are thousands of different slot machine games out there, most of whom share the same old concept, but also differ in a way or two. What exactly are these ways in whom these gambling machines can stand out from the crowd and be one step ahead of the competition? The three main types – I see the slot machine industry that can potentially be divided into three types. These are fruit machines aka ”classic slots”, video slots and finally, 3D slots. All of these are available at pretty much every casinos that are found in the online environment. None are better than the others and in hindsight, the ones you choose are basically a question of taste. Jackpots – while all slot machines offer jackpots in one sense or another, these can be divided into progressive and fixed ones. Progressives are usually way higher and pooled across several machines. What’s even better – usually these jackpots are ones that are growing constantly. Fixed coin ones, on the other hand, are offered by all slots, as the term basically means ”higher possible payout”. Bonus Features – at first the slots were even simpler than they are now. You’d spin the symbols over reels and see whether a winning pay-line was formed and that was it. Then came the era of the Internet slots that changed everything. Now most video slots are also offering an additional bonus feature, which does several things. It improves the entertainment that you can gain from playing a particular machine and also increases the amount of payouts received. Sometimes, especially in progressive jackpot slots, bonus features are so lucrative that they might actually turn you into a multi-millionaire, given that this is your lucky day and you are among a dozen of luckiest persons on this planet. Themes – a large portion of the experience that you get from playing a slot machine comes from the theme or any particular characters that are emphasized in it. Most machines are actually built and based on something specific, such as a movie or comic character or some kind of a holiday related theme, such as christmas slots that tend to get very popular with this holiday coming closer. Various Software Developers – this is a ”biggie” and there seems to be more and more development companies of slots being launched on an almost daily basis. Most players tend to have their own preferred developer and they keep sticking with it. When they are looking for new games, they start with researching any new games from their favorite software development company. Some of these are obviously more important or better said, significant, than others, but all of them should be taken into account when trying to find that single best slot machine for yourself to play. While there probably are well over 30 slot machine development companies out there, not all of them are even close to being up to date or among the best in the industry. It might be my own subjective opinion, but I would consider a single dozen at most to be reasonable and probably a handful to be truly great. The companies in question are Net Entertainment, MicroGaming, Sheriff, Betsoft Gaming and PlayTech. I would consider all of these to be top notch and developing truly extraordinary slot machine games. 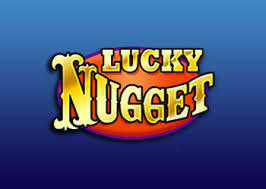 NetEnt is also the development company of ”Mega Fortune” slot, which is currently holding the Guinness Record for the highest online slot jackpot ever awarded – over $20 Million! From my point of view, the perfect casino for playing slots online is one that offers games from all developers I just listed above, provides players with a constant stream of bonuses and promotions as well as is quick to pay out any winnings. Well, it certainly sounds like a lot and might seem that I’m living in an illusion, but the truth is that VegasParadise.com is a casino exactly like this. Even though they’ve been established only a couple of months ago, the brand is already listed at many respected casino resources as the best casino of the year and the best new online casino. I completely agree and would like that you try them out too and give us your thoughts. On top of having great games and very fast withdrawals, VegasParadise also offers a $/£ 200 welcome bonus. Looking for an alternative? Guts Casino should come in handy then. Not only is this the a great casino site they but also offers betting, poker, bingo, arcade games and of course, slot machines in a wide range. You’ll get access to games that are not available at some other casinos, such as ones powered by NetEnt, IGT, Aristocrat and several others. Guts also offers a $300 welcome bonus + 100 free spins on the popular NetEnt slot, known as Starburst!